What is a Stand Up Paddleboard (SUP)? A Stand Up Paddleboard is a very stable surfboard that you stand on and use a long paddle to propel yourself through the water. SUP’s allow the user to experience marine life and landscapes not ordinarily accessible by boat. It’s also a GREAT core workout! Where are you located? We are Panama City Beach locals and a mobile rental company. We have surfed and paddled at most every major beach around here and will happily deliver our boards to you wherever you are staying while you are visiting our beautiful beaches! If you are staying in a beach house or beach front condo, this is super convenient for you since you can just walk out your door, grab the board, and into the water you go! I’ve never done this before, is this for me? SUP is for everyone! Honestly, about 90% of our clients have never been on a SUP before but after spending 5 minutes with Chris, they are up and paddling around like it was meant to be! SUP is so much fun and so easy to get the hang of, most everyone can do it. If you’re a nature lover… it’s definitely for you. Do I need to know how to surf to be able to SUP? Not at all, however, it’s a good idea to know how to swim! Most people start out paddling in flat, still water to get the feel of the board. 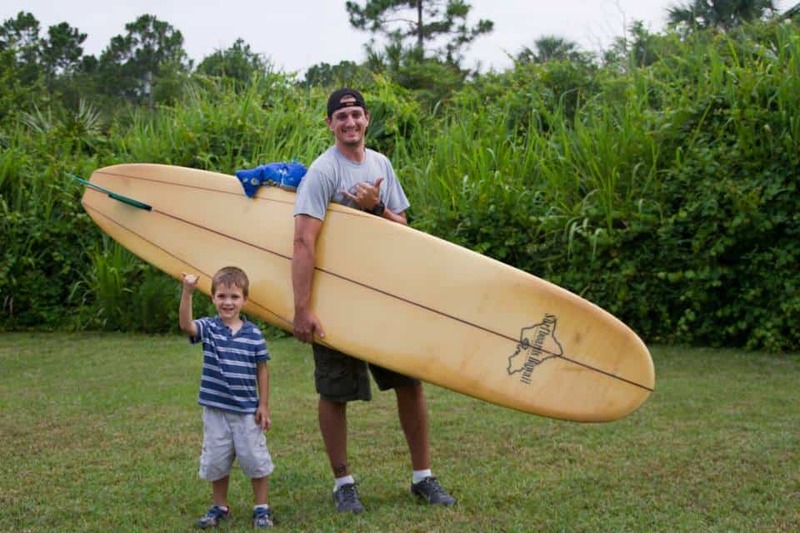 The more adventurous can try to surf the small Gulf Coast waves but that’s not necessary to have a great time on your SUP. If you do try surfing, please be mindful of others in the water as well as surf etiquette. What if the weather is bad, can I get a refund? It is very rare here in the summer to have ALL DAY rain but if it looks like the weather is going to be bad all day long, then of course! Florida weather, as a rule, is very fickle. Storms will usually roll in mid afternoon and then clear out by early evening. We have found that the absolute best time to paddle is in the mornings since it is usually calmer and all the marine life is out looking for breakfast (sharks typically feed at night so if you are fearful, don’t worry too much about that)! Rental – (non weather related) If you cancel your SUP reservation 24 hours in advance, we will refund your money 100%. If you don’t give us 24 hours notice, we can’t refund your money but will give you a credit towards a future rental. We feel this is fair. Tour – (non weather related) If you cancel your TOUR reservation 7 days in advance, we will refund your money 100%. Due to the fact that once you book your tour, we turn other rentals / tours down for that day, if you don’t give us 7 days notice, we can’t refund your money but will give you a credit towards a future tour. We feel this is fair. I’m ready to go! How do I reserve a board? Simply give us a call at 850-532-9449 or send us an email if you have any questions at all but we have done our best to automate this process and make it as quick and easy as possible. See our SUP Pricing & Information page for the steps to reserving. Once your boards are locked in, we will drop them off to you and you’ll be good to go! If you’re looking for a fishing trip, we’ll get you in touch with one of our Captains and they will answer all your questions and get you all set up for your day on the water with them!